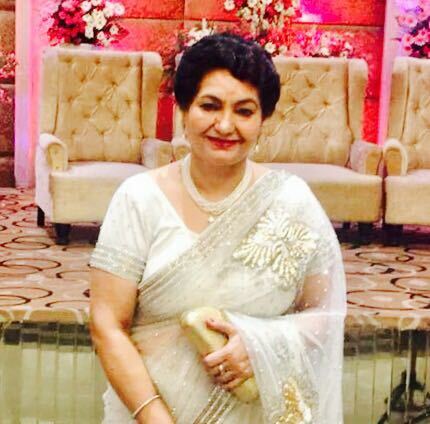 Mrs. Ramni Ralhan, an eminent personality among the connoisseurs of quality food with the rich experience of more than 30 years in skill of imparting practical cookery knowledge. She possess extensive experience in diverse culinary traditions and are committed to the health supportive principles upon which the Perfect Cookey Classes were founded. She is very instrumental in initiating thousands of young aspirants into cooking and has also turned several into expert cooks. An acknowledged cookery expert, she has been conducting immensely popular cookery classes for a long time. Her "Perfect Cookery Classes" with practical demonstrations from her vast reservoir of mouth-watering recipes brings in hordes of young aspirants, enthusiasts and even expert cooks to these classes. She always had a penchant for developing various recipes from all around the world. These recipes were then further refined by her time & again over a period to make them absolutely perfect. From the last 30 years, she has been regularly conducting cookery classes in the heart of the Capital of India, Delhi. The Cookery Classes conducted by her are supposedly the most famous & only one of its kind in North India. Learning from her is an enjoyable experience. It is much more than mere following a recipe. The classes are really interactive in nature and help shed her pupil's shyness in an instant and make them negotiate their own experiences with Mrs. Ralhan with confidence and boldness. Mrs. Ralhan is viewed as a remarkable teacher. Thousands of young girls/boys & housewives across the country have immensely benefited from these classes & are successfully managing their careers as the perfect home-makers, confectionary shops, restaurant or hotel owners. The overwhelming response to her cookery classes & books signify the success & hard work which has gone into making Ramni Ralhan a synonymous for the cookery classes. Her determination towards the cookery have won her many awards and honours from the State Government and reputed associations. She has been a regular invite on TV cookery shows for various TV Channels like 9X, ETV, CNEB, Zee TV, Colors, DD, Home-Shop, Sony etc.